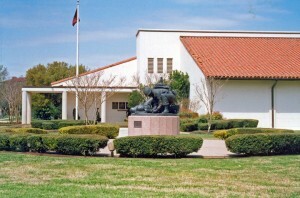 The closest entrance to the Museum is through the Military Police checkpoint at the corner of Stanley and Harry Wurzbach Roads accessible off I-410. All individuals in the vehicle must show a picture ID to enter Fort Sam Houston. After exiting the checkpoint, turn right on Stanley Road. Parking is on your left and the Museum is on your right. Additional entrances to Fort Sam Houston are the gates at Brooke Army Medical Center and Walters Road, both accessible from I-35. If entering through these gates, please ask directions to the museum. The history of the Army Medical Department is the compelling story of those soldiers whose mission is to preserve life. The collections include medical equipment, uniforms, works of art, and vehicles representing the entire period of service of the Army Medical Department from 1775 to the present. Our exhibits are primarily designed for an adult audience, although they contain artifacts and graphics that may be entertaining and enlightening for young persons who are interested in the health sciences. School groups and veterans’ reunions are welcome. Tours of the Museum can be arranged by contacting the Museum staff. Our Gift Shop is located just inside the main Museum entrance on the right. 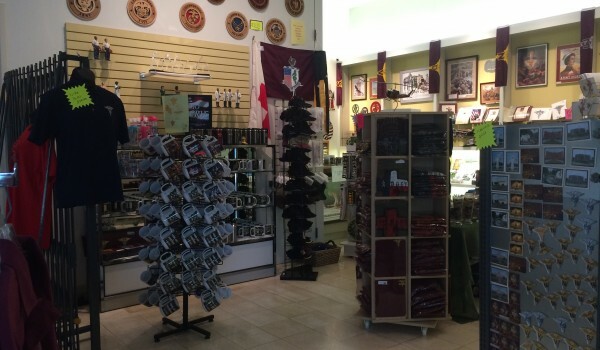 The Shop contains a wide variety of books, t-shirts, prints, and military items and souvenirs of your visit. All proceeds go to supporting the Foundation’s mission of enhancing the Museum.